How to retreive the page title from WebBrowser Control in Windows Phone? 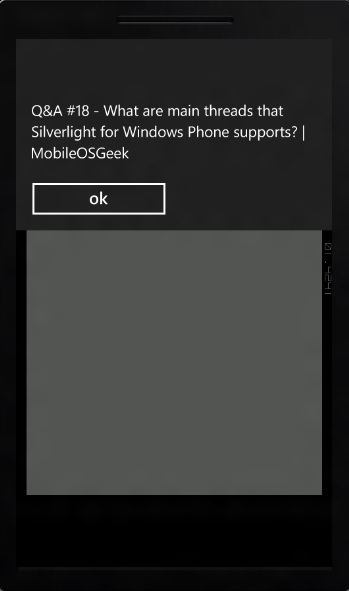 If you are using a WebBrowser Control in your Windows Phone and want to retreive the page title of the webpage , you can do that easily by using the InvokeScript method defined in the web browser control in Windows Phone. Below is a C# codebehind that demonstrated how to retreive the page title from WebBrowser Control in Windows Phone.